Cuccioli attended St. Mary's High School in Manhasset, New York and college at St. John's University in Jamaica, New York, earning a degree in Finance. Before moving into theatre as a career, he worked as a financial consultant at E. F. Hutton for three years. Cuccioli has been in a relationship with actress Laila Robins since 2000. Cuccioli released his first solo album, The Look of Love, a collection of standards from the 1930s and 1940s, in January, 2012. Cuccioli starred as Lancelot de Lac in U.S. and Canadian national tours of Camelot in 1987, with Richard Harris. He first appeared on Broadway as Javert in Les Misérables in 1987 and continued to appear in the musical as a replacement until early January 1995, when he began rehearsals for the pre-Broadway national tour of Jekyll and Hyde. 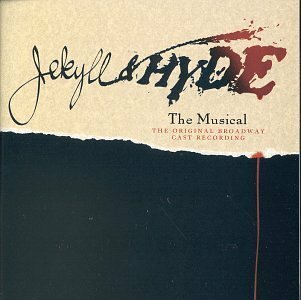 In 1997, Cuccioli received a Tony Award nomination for his performance in the dual title roles in the musical Jekyll and Hyde, also winning the Joseph Jefferson Award, the Outer Critics Circle Award, the Drama Desk Award and the Fany Award for that role. On September 26, 2005, he starred as Dr. Johnson in the special benefit performance of On the Twentieth Century at the New Amsterdam Theatre. Cuccioli returned to Broadway beginning August 7, 2012, when he took over from Patrick Page in the dual role of Norman Osborn and his alter ego Green Goblin in the rock musical Spider-Man: Turn Off the Dark. Early in his career, Cuccioli spent several years learning the ropes off-Broadway at the Light Opera of Manhattan, starting out in the chorus, quickly moving up to smaller featured roles and then playing leading roles, such as Count Danilo in The Merry Widow, the Pirate King in The Pirates of Penzance, and Captain Corcoran in H.M.S. Pinafore. His other notable off-Broadway appearances include Nathan in the long-running revival of The Rothschilds (1990); the highly successful 1991 Kander and Ebb revue, And The World Goes 'Round, which garnered him the Outer Critics Circle Award in 1991; and he played the title role of in the Maury Yeston and Arthur Kopit musical, Phantom, at the Westchester Broadway Theater in 1992-93, a role that he has repeated. In 2000, he played Macheath in The Threepenny Opera. He was also seen as Karl Streber in Temporary Help in 2002 and in Mirette (a new musical by Harvey Schmidt) with York Theatre Company in 2005. Cuccioli's U.S. regional theatre credits include Ankles Aweigh at the Goodspeed Opera House in 1988, Jud Fry in Oklahoma! at the Paper Mill Playhouse in 1992, Archibald Craven in the Sacramento Music Circus production of The Secret Garden (1999), The Actor in Enter the Guardsman at the New Jersey Shakespeare Festival (1999 and again off-Broadway in 2000), King Marchan in Victor/Victoria at the Paper Mill in 2000, Nick Arnstein in Funny Girl (musical) at the Paper Mill in 2001, Antony in Antony and Cleopatra at the New Jersey Shakespeare Festival (2002), Captain von Trapp in The Sound of Music at the Paper Mill in 2003, and Sky Masterson in Guys and Dolls at the Paper Mill in 2004, with Karen Ziemba and Kate Baldwin. His 2005 theatrical credits include Alexander di Medici in Lorenzaccio at The Shakespeare Theatre in Washington, DC, and Capt. von Trapp in The Sound of Music at the Bendedum Theatre in Pennsylvania. He has also starred in shows at The Shakespeare Theatre of New Jersey (where he has played the title role in Macbeth (2004), Brutus in Julius Caesar (2005) and Antonio Salieri in Amadeus (2008), among others), at the New York's Equity Library Theatre and in regional theatres around the United States. Cuccioli's recent stage appearances include the off-Broadway revue, Jacques Brel is Alive and Well and Living in Paris in 2006. In June and July 2007, he played Claudius in Hamlet at The Lansburgh Theatre in Washington, D.C. with the Shakespeare Theatre Company. In September and October 2007, he appeared in pre-Broadway tryouts of Lone Star Love in Seattle, starring Randy Quaid, but the Broadway run was cancelled. He then played the title character in Man of La Mancha at the White Plains, New York Performing Arts Center until December 2007. Cuccioli reprised the title role of the Maury Yeston and Arthur Kopit musical, Phantom, at the Westchester Broadway Theater From December 2007 to February 2008. He notes that he enjoys playing this character because the Yeston-Kopit version is "a very human take on the legend". He also is heard on a concept album for a new musical, The New Picasso, which was released in January 2008. He returned to the White Plains Performing Arts Center in the autumn of 2008 to play King Arthur in Camelot and next starred in Conor McPherson's The Seafarer at George Street Playhouse in New Jersey. In 2009, he has starred in Thom Thomas's A Moon to Dance By, at the Pittsburgh Playhouse and at the George Street Playhouse, with Jane Alexander, and played John Dickinson in 1776 at the Paper Mill Playhouse. Cuccioili's television appearances include Sliders (1999) and Baywatch (1997). He played Chief Franklin on The Guiding Light. He also appeared on All My Children and One Life to Live. His has appeared in several films, including in Woody Allen's Celebrity (1998), Operation Delta Force 3: Clear Target (1999), Heroic Times and an independent film entitled The Stranger. Cuccioli directed The Glass Menagerie in 2003 at The Shakespeare Theater of New Jersey. He has also directed productions of Jekyll & Hyde at Houston's Theatre Under The Stars, Pittsburgh Civic Light Opera and The Westchester Broadway Theatre. ^ Saltzman, Simon. Macbeth. CurtainUp, 2004, accessed April 29, 2011. See also Nash, Margo. "Jersey Footlights". The New York Times, March 30, 2003, accessed April 29, 2011. ^ "Robert Cuccioli | Biography". www.robertcuccioli.com. Retrieved 2018-02-04. ^ a b c d Robert Cuccioli Festival of The Arts, accessed June 4, 2009. Arthur Lee Kopit is an American playwright. He is a two-time Pulitzer Prize finalist and a three-time Tony Award nominee: Best Play, Indians, 1970; Best Play, Wings, 1979; and Best Book of a Musical, for Nine, 1982. He won the Vernon Rice Award in 1962 for his play Oh Dad, Poor Dad, Mamma's Hung You in the Closet and I'm Feelin' So Sad and was nominated for another Drama Desk Award in 1979 for his play Wings. Barrett Foa is an American actor, known for his role as Eric Beale on the CBS series NCIS: Los Angeles. Christiane Noll is an American singer and actress known for her work in musicals and on the concert stage. She is perhaps best known for originating the role of Emma Carew in Frank Wildhorn's Jekyll & Hyde, as well as her roles in Urinetown and Ragtime. Gerard Alessandrini is an American playwright, parodist, actor and theatre director best known for creating the award-winning off-Broadway musical theatre parody revue Forbidden Broadway. He is the recipient of Tony Honors for Excellence in Theatre, an Obie Award, four Drama Desk Awards, an Outer Critics Circle Award, and two Lucille Lortel Awards, as well as the Drama League Award for Lifetime Achievement in Musical Theatre.